BAYADA is committed to providing the community with excellent and reliable home health care. We strive to better the lives of people with ALS by offering ALS specific training to our staff and supporting the mission of The ALS Association by helping raise money for ALS research through corporate giving and local fundraising. That’s why we also support the ALS National Registry. 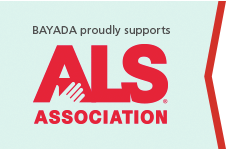 BAYADA encourages our people with ALS, and all people with ALS, to join the National ALS Registry. These are important factors to understand better because the information can be used to understand the disease, improve the medical treatment and improve the quality of care for a better life while living with ALS. Click here to download a pdf fact sheet. 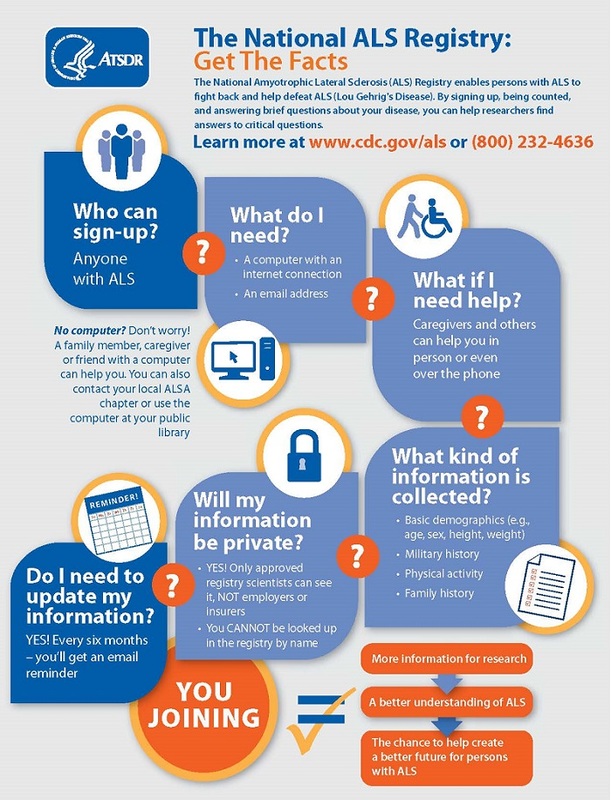 Enrolling in the registry will also grant registered people with ALS access to information regarding new research studies and clinical trials. Joining the National ALS Registry is easy and only takes about five minutes to do. To learn more about how to register, click here. ALS stands for Amyotrophic Lateral Sclerosis and is also commonly known as Lou Gehrig’s disease. It is a progressive neurodegenerative disease that damages motor neurons in the brain and spinal cord. Motor neurons are nerve cells that control muscle movement. Over time, these motor neurons shrink and the muscles become smaller and weaker. Eventually, the motor neurons die, the muscles no longer receive signals to move and the body becomes paralyzed. ALS affects people differently and the disease progresses at different rates, but all people with ALS eventually lose control of the muscles used to breathe, resulting in death. Currently, ALS is an incurable and terminal disease but scientists and researchers are working hard to find both what causes ALS and a cure.